Humans are the most intelligent species on the earth. The thing that makes us most intelligent is our brain, which can learn things, analyze and remember. If you are from biology background you must be aware of how the human brain works. Actually, human brain is a complex network of millions of neurons which are responsible to analyze, understand and take important decisions. A sample figure of the neuron is shown in Figure 1. Figure 1: A Neuron of human brain. 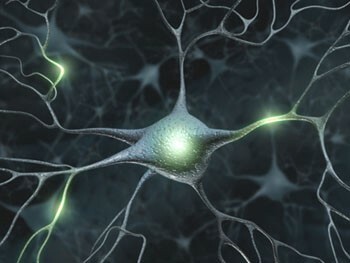 It takes input signals from various source such as eye, nose and process information from one neuron to another making it very very complex network architecture of neurons. Suppose if we want to predict the brand of a car, we see its model, logo and learn this car is from Audi or Maruti or BMW or whatever it is. When we see a car our brain learns its features by learning different parameters such as model, logo, design, etc. Based on that knowledge whenever we look at a new car, we can take decision based on learning parameters that this car belongs to BMW or Toyota. Well, this is the basic function of a human brain. 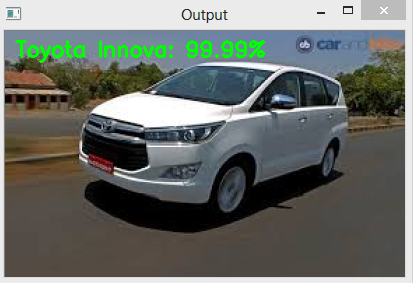 But question is, is it possible for a machine or computer, to predict brand of car, not only brand, even model number just by looking at vehicles? 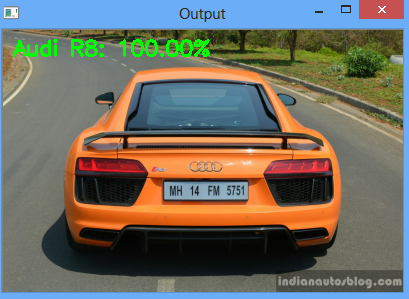 Yes, using Machine learning and computer vision tools, I developed a neural network model, actually Convolutional Neural Network (CNN) model which works exactly as human brain as discussed above. 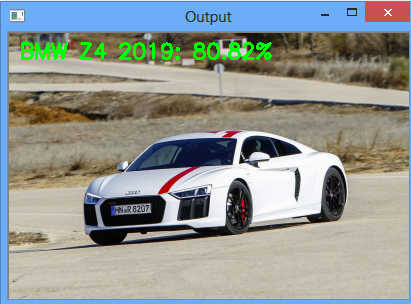 I trained the CNN model with different images of vehicles so that it can learn parameters and take decision whenever it looks at a new car. The source code is available at my GitHub repository. After training with 300 epochs when i tested developed CNN model with new image, i got result as shown Figure 2. Figure 2: Test results of vehicle brand classification. From the result we can see that model not only predict brand but also model number of that particular brands with probability that how much CNN model is sure about result. 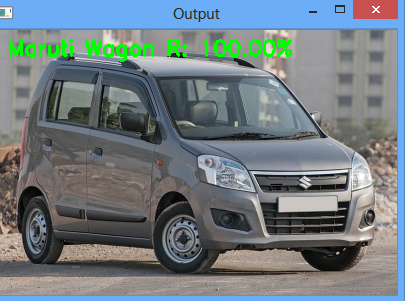 You can also train CNN model using own database, source code is available at my GitHub repository. For more updates, keep in touch with me at my Facebook Page. Thanks to Adrian from https://www.pyimagesearch.com/ for his excellent tutorials.